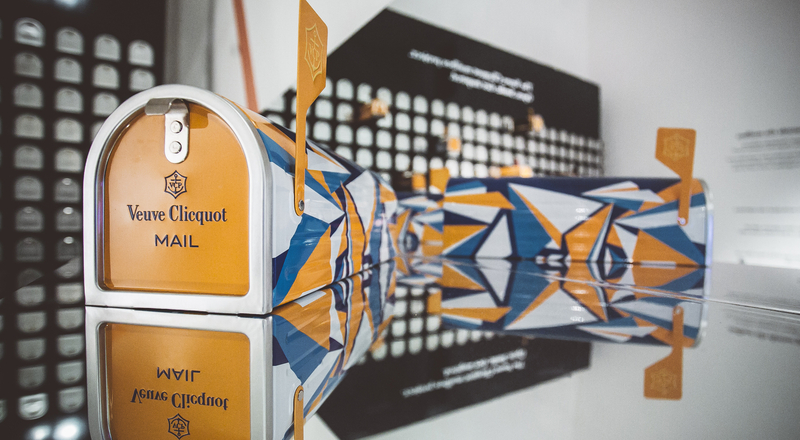 In October 2014, Veuve Clicquot introduced the Re-Creation Awards, an international competition inviting designers from every background to reinvent the Clicquot Mailbox, a special mailbox-inspired packaging launched that year. The Champagne house recently announced the winner of this novel competition. Inspired by the rich written correspondence that Madame Clicquot maintained with her clientele around the world more than 240 years ago, Veuve Clicquot imagined special packaging in the from of a classic U.S.-style mailbox, making it easy to post a bottle of its Yellow Label Brut. Faithful to the visionary and inventive thinking of its founder, the House launched the Re-creation Awards, a competition that celebrates inspirations from ten countries around the world with emblematic ties to Veuve Clicquot’s history. The Re-creation Awards invite both amateur designers and professional artists to propose their personal interpretation of the Clicquot Mailbox via an online platform, celebrating inventive creativity in myriad forms. An initial round enabled visitors to the site to choose a winner from each country, while a panel of ten prominent specialists from the world of art and design selected their own favorite. In April, the winning national duos were invited to Veuve Clicquot’s Hôtel du Marc in Reims, in the heart of Champagne, for the awards ceremony. The jury named Canadian Eileen Ugarkovic the International Winner. Her design won over the jury with its simplicity and resonance with the theme of travel. 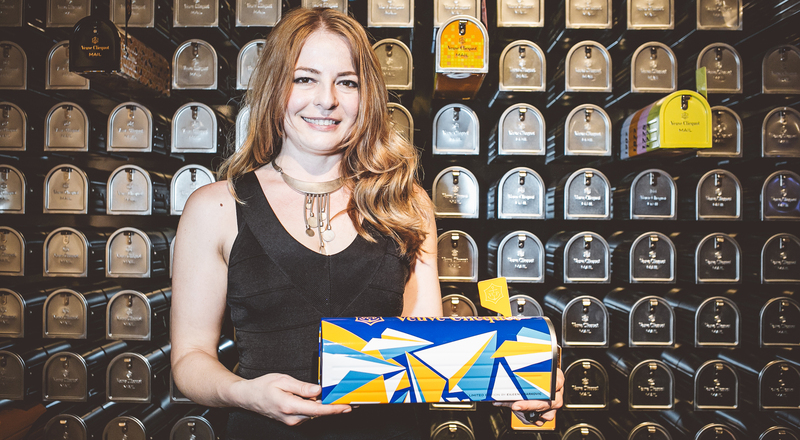 Her Clicquot Mailbox is decorated with paper airplanes in Veuve Cliquot colors, symbols of freedom and hope. The creation is now available in a limited edition and was featured at Milan Design Week.